Developed by Koei Tecmo. Published by Nintendo. Releases on March 25, 2016. Available on Nintendo 3DS. Review copy provided by publisher. 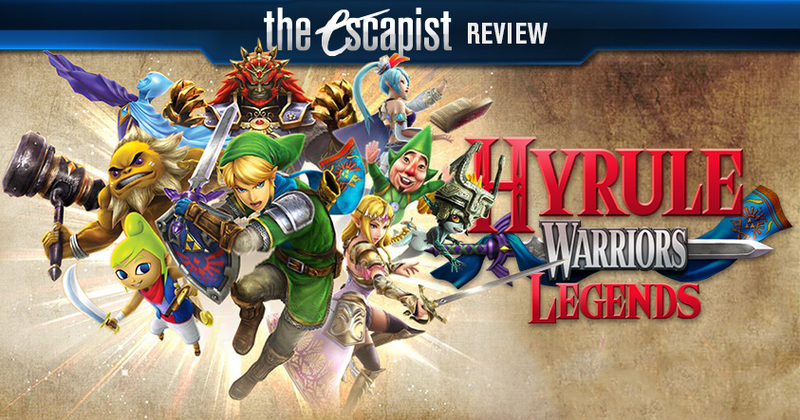 When Hyrule Warriors released for the Wii U, it masterfully merged the frantic action of Dynasty Warriors with the enchanting lore, and characters, of the Legend of Zelda universe. The story fused three separate games - and thus, three separate eras - into one dynamic experience with interdimensional crossovers. 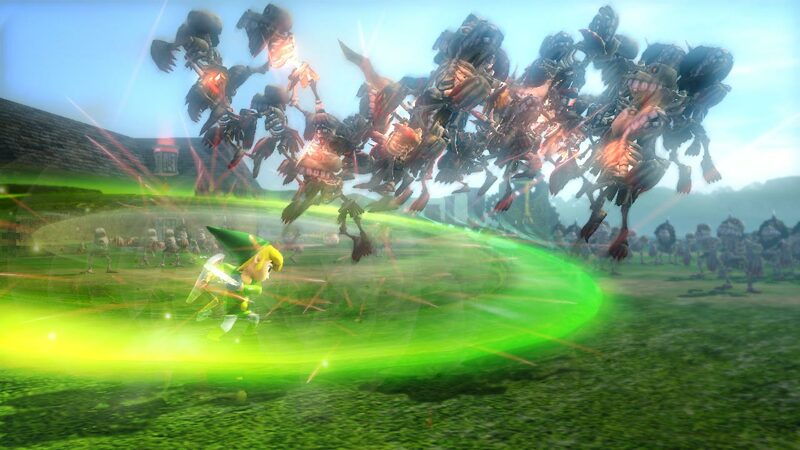 In a 2014 review of the game, we wrote: "Omega Force superbly balances the beat 'em all combat of Dynasty Warriors with the enchanting world of The Legend of Zelda. 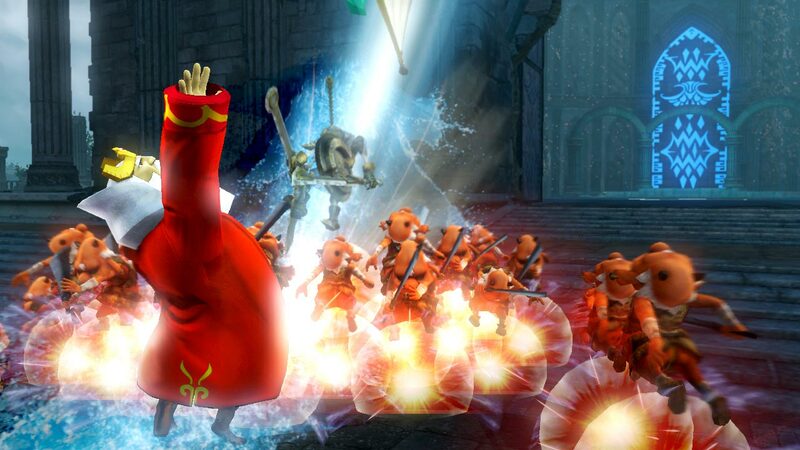 With a meaty combat system and tons of stuff to uncover, Hyrule Warriors is a mad idea that should logically get old after an hour, but never does. It's a novelty that can't quit being novel, and I love it to death." Hyrule Warriors Legends is a 3DS port of the game, although it brings just enough new content that commenting on it simply as a "port" feels unfair. However, before jumping into the meat of the review, I first want to issue a warning. The game's box states that, in order to switch on 3D graphics, you will need a "new" 3DS. Aside from this, there is no indication that the game itself is a new 3DS exclusive - but it should be. On the older 3DS model, the game consistently ran below 30fps with frequent hiccups - particularly during more complicated combos, special attacks, and boss battles. In between screens there are extended periods of lag - for example, most cutscenes can be skipped, however when doing so on the older system, there can be anywhere from 15-20 seconds of a black screen while the audio continues, and this is outside of the time where the game indicates it is either loading or saving. In all honesty, I went out and purchased a new 3DS just so I could progress with my review. I personally would advise against picking this game up altogether unless you own, or intend to purchase, a new 3DS. The new 3DS handles the game extremely well, although it is not without its own technical issues. 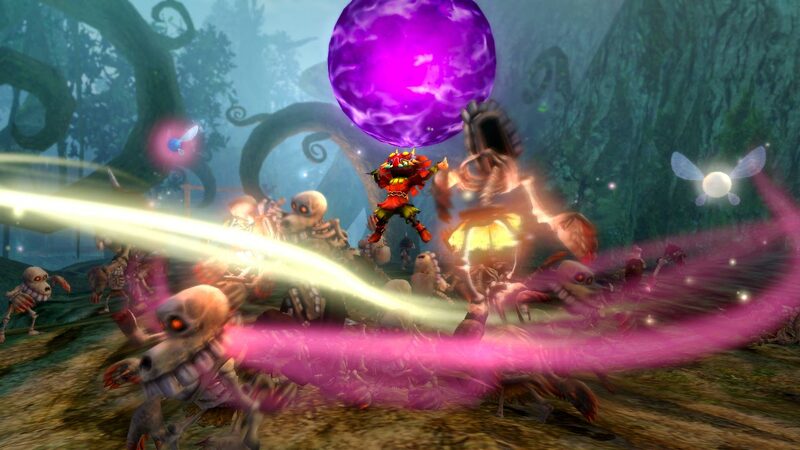 Switching on 3D dramatically impacts the game's performance, with frequent clipping and lag, again mostly during combos, special attacks, and boss battles. I ended up playing the majority of the game with 3D turned off. Additionally, despite the similarities in story between the two games, the 3DS version is, aesthetically, completely different from the Wii U version. The colors are brighter, textures and details are not just simpler, but are also blurred, even in the game's menu. This is not to say the game is without its improvements over its Wii U kin. The best new feature in Hyrule Warriors Legends is the ability to fluidly switch between different characters at will during any particular stage that allows for multiple characters, making map management not only significantly simpler, but also incorporating a much more strategic element into the otherwise frantic game. Outside of switching between characters, you can also issue commands to the other playable characters, instructing them where to go. Another significant perk to map management comes in the form of the Ocarina, which allows you to warp to scattered owl statues once they are unlocked, giving you the option of easily teleporting to any of these activated areas from anywhere on the map. The story-line itself stays true to the Wii U original, although there are additions that add a bit of content to the story. 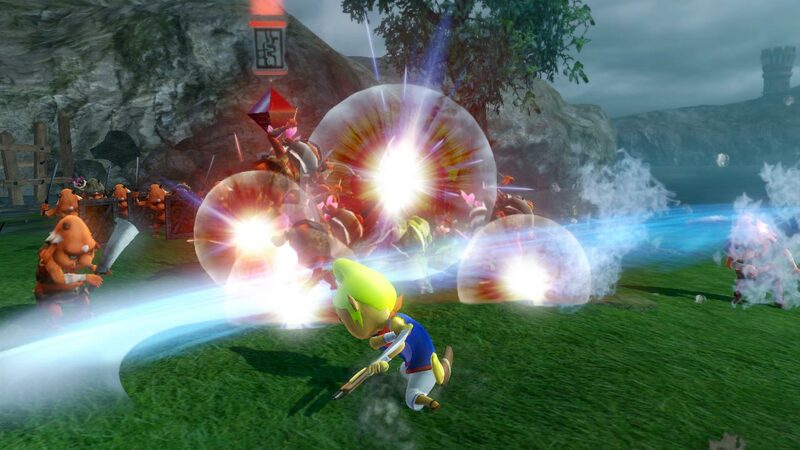 The game's new characters strengthen the experience, with Toon Link, Tetra, and King Daphnes each representing Wind Waker with fun and unique movesets, while Skull Kid stays playful and mischievous, even in battle. 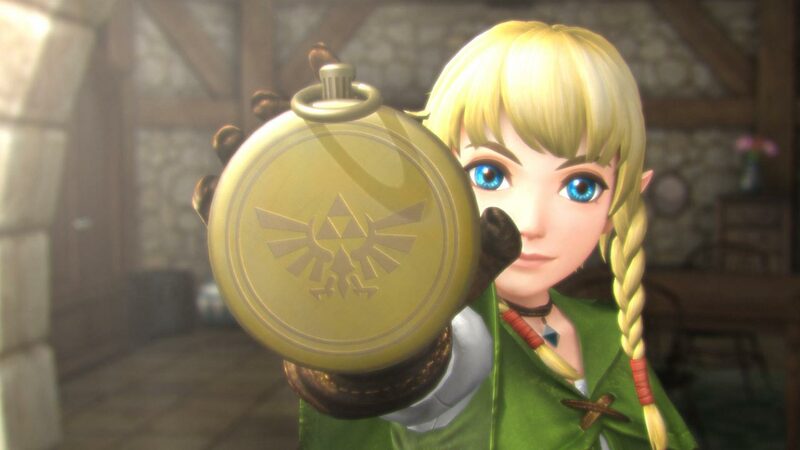 The shining star of the game as far as new entries, however, came in the form of Linkle, who comes equipped with a pair of crossbows and a delightfully poor sense of direction. Linkle was a dominating force in battle, and I spent more time commanding other characters than switching to them on maps when she was playable. Unfortunately her story was very bare bones and doesn't offer a significant amount of new content. I was left with a lot of questions about her role in the overall story, which she did not have a significant impact on one way or the other, feeling more like an afterthought than anything else. The 3DS version will get you a code that you can use if you own the Wii U version of the game, so that you can unlock these new characters on the other system. Hyrule Warriors was a stunning game when it released, and Hyrule Legends Warriors brings the excitement of the game to a handheld experience. Little compares to the fun of slashing through hordes of Dark Forces soldiers while riding the bus or waiting in the doctor's office. However, the game's brilliant improvements to map management and charming new character additions are overshadowed by the disappointing graphics and the game's inability to function properly with 3D on. Bottom Line: Hyrule Warriors Legends should have been made a new 3DS exclusive, as the performance issues on the older system make the game nearly unplayable. However, the new characters, and the ability to swap fluidly between playable characters, make the game feel more fresh than a standard port. Recommendation: If you have a new 3DS, and have no intention of turning on 3D while you're playing, Hyrule Warriors Legends is definitely a fun experience, even in spite of the disappointing graphics.